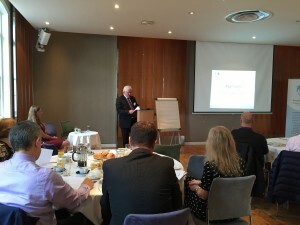 We were delighted to welcome clients and guests to our Breakfast Seminar at Hart’s Restaurant this morning where, as ever, the food was delicious. Our seminar highlighted recent and forthcoming changes in employment law including the new Fit for Work Service, the calculation of statutory holiday pay and the new Living Wage and an overview of important cases. Adrian Barnes gave an interesting and useful insight in the benefits of carrying out proper performance appraisals. For further information on the topics covered or to arrange training, please contact us on 0845 070 0505.